Something strange and exciting is happening at Illusion Theater on the 8th floor of the Hennepin Center for the Arts in downtown Minneapolis. Young people, teenagers even, are going to the theater. And having a great time! 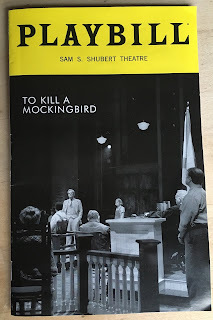 As a theater-goer in my '40s, I often find myself the youngest person in the room (especially at a Sunday matinee). 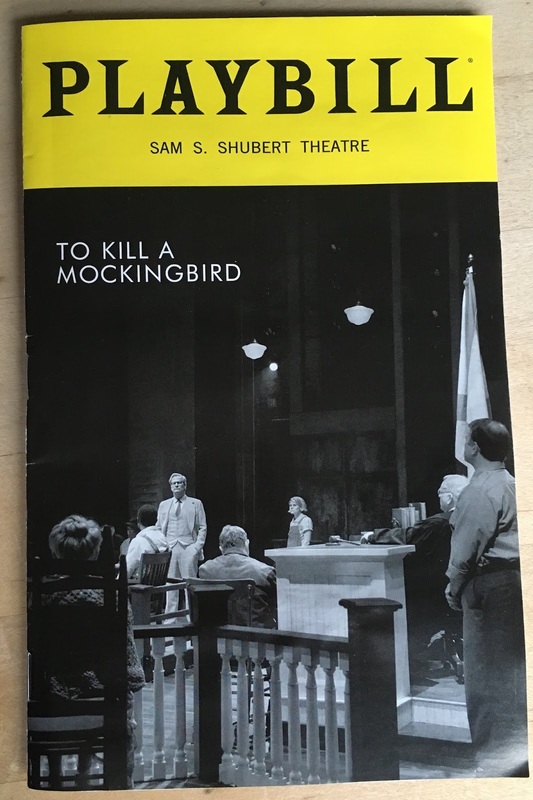 Theater audiences skew older, whether for financial reasons, or because of the theater that's being offered, or because young people simply don't think theater is cool. 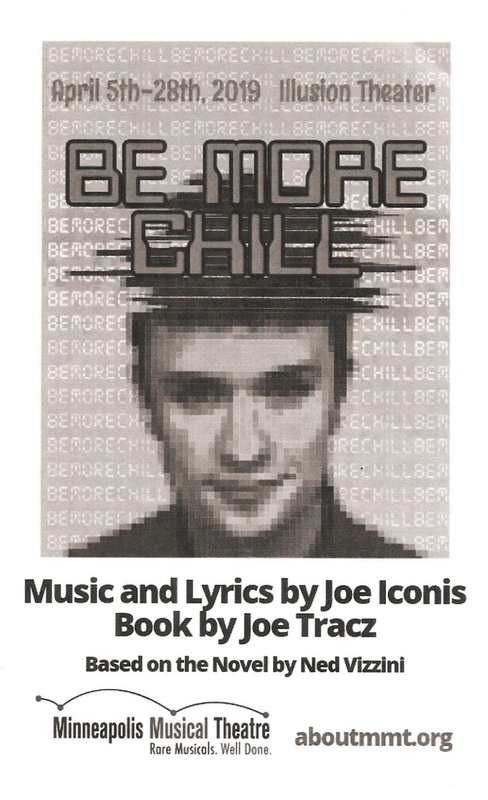 But Minneapolis Musical Theatre seems to have cracked that audience with their latest show Be More Chill, which just completed the 3rd of its four-week run. It's set in a modern day high school, with characters that feel real, even if the situation is fantastical. 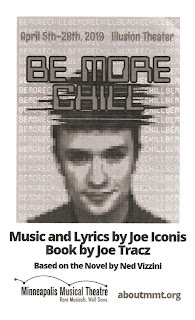 The good news is even those of us many years removed from our HS days will be delighted by this energetic, exciting, entrancing new musical. 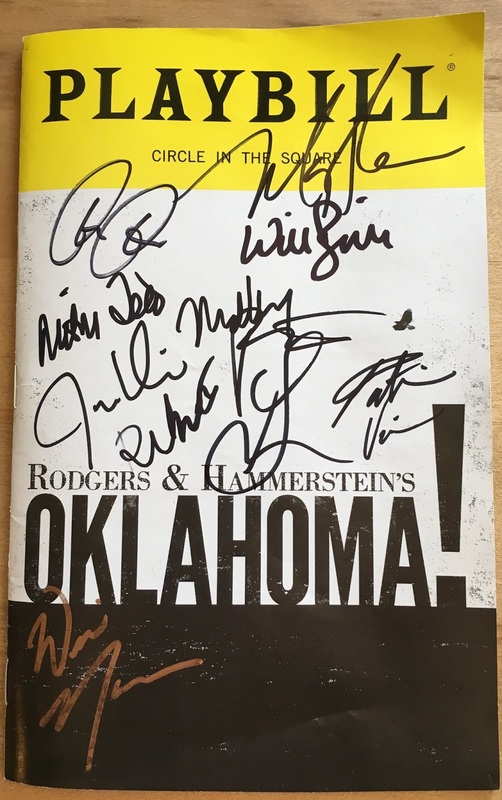 Just three more shows remain! New #TCTheater company SOS Theater debuted a year and half ago with the dark comedy / family dramedy Roller Derby Queen. 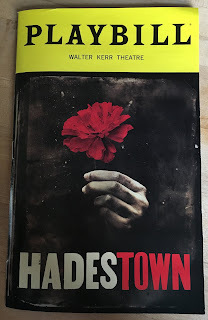 I really enjoyed that play, calling it "smart, funny, and well-written, with quirky but real characters," and was looking forward to their second outing. Pop Goes the Noggin is another new play written by Michele Lepsche, a dark comedy featuring quirky characters. 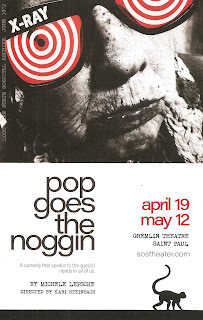 Unfortunately it's an example of the proverbial sophomore slump as the great ideas don't quite come together, perhaps because due to an unexpected illness the playwright was unable to finish the play, which was completed by director Kari Steinbach and cast member Greta Grosch (one of the writers of the Church Basement Ladies series). 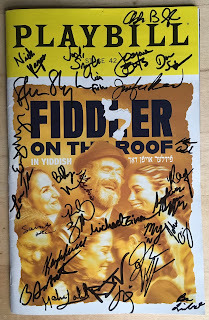 But the play has an interesting premise, and a cast of unique and endearing characters (some more defined than others). There's definitely potential there, and it would be interesting to see it again after a round of revisions. So go the lyrics of the song "Crime of the Century" in the musical Ragtime, based on the E.L. Doctorow novel about life in early 20th Century America. But of course, there's more to the story of Evelyn Nesbit than that. Who lives, who dies, who tells your story? In the new play Velvet Swing by the Umbrella Collective, Evelyn tells her own story, as brought to life by five actors. This 100+ year old story rings eerily true today - a young woman taken advantage of by older men she trusted and who helped her in her career, a fascination with celebrity, a true crime story that was the talk of the town. Umbrella Collective sheds a new and modern light on this all too familiar story. 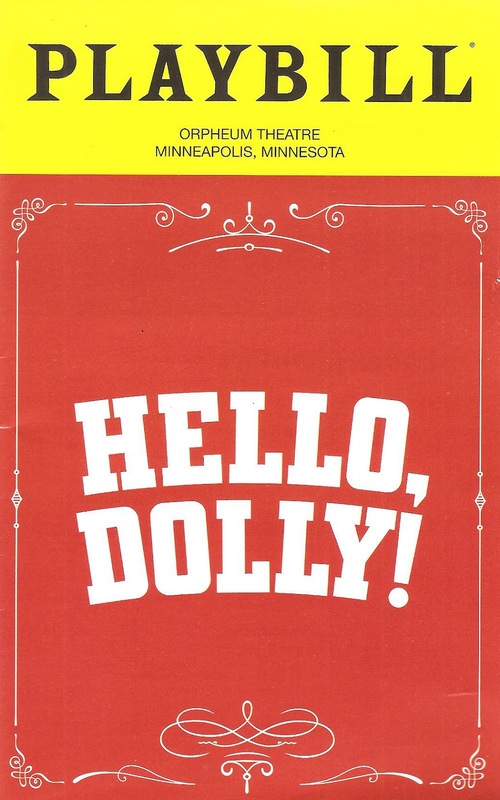 Twenty-four years ago, a new musical premiered in Minneapolis before moving to Broadway. 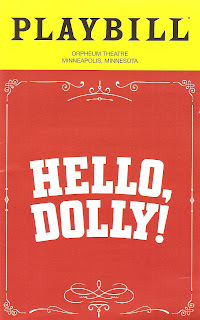 A new musical starring Julie Andrews, created for her by her husband Blake Edwards, based on the 1982 movie also created for her. Yet inexplicably Victor/Victoria is only now receiving its regional premiere. Theaters have a tendency to do the tried and true musicals that we all know and love, but there are so many rarely produced gems out there (see also this list of musicals written by women). 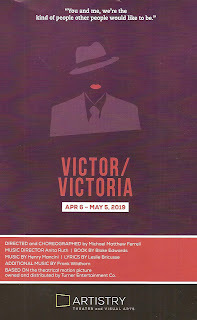 Artistry is bringing us one such musical in Victor/Victoria, and even more in their 2019-2020 season (which includes the rarely done musicals A New Brain and Mame, as well as the regional premiere of the 2014 musical The Bridges of Madison County with music by Jason Robert Brown, one of the most gorgeous scores I've ever heard). 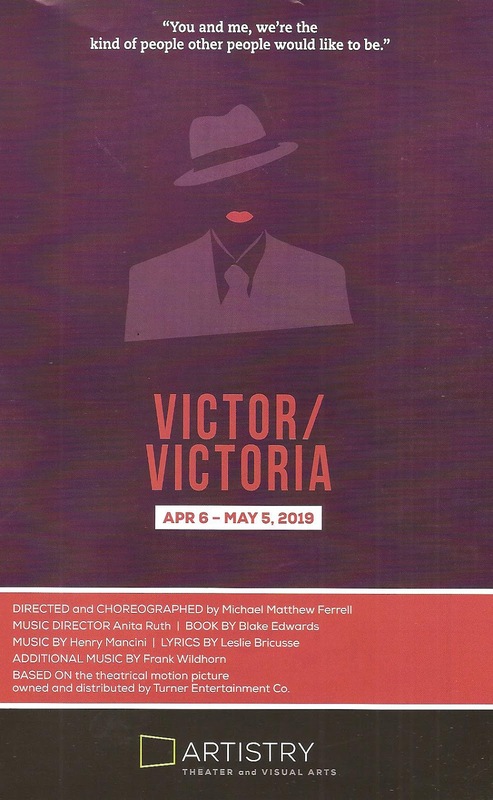 And even better - Victor/Victoria happens to be very timely and relevant with its themes of gender fluidity and being free to be who you are and love who you want. 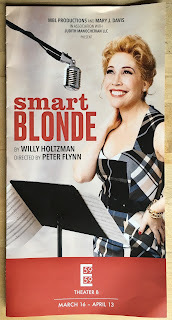 The team at Artistry has delivered a gorgeous production of this big old-fashioned musical full of heart and humor. 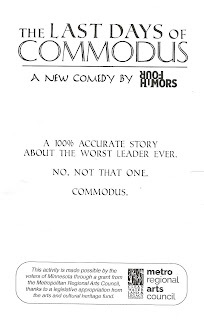 Four Humors Theatre brings their thoughtfully ridiculous interpretation of history and/or literature to the Roman Emperor Commodus, a by all accounts horrible ruler who brought an end to the era known as "Pax Romana" - no more peace and stability for Rome under this egotistical tyrant. 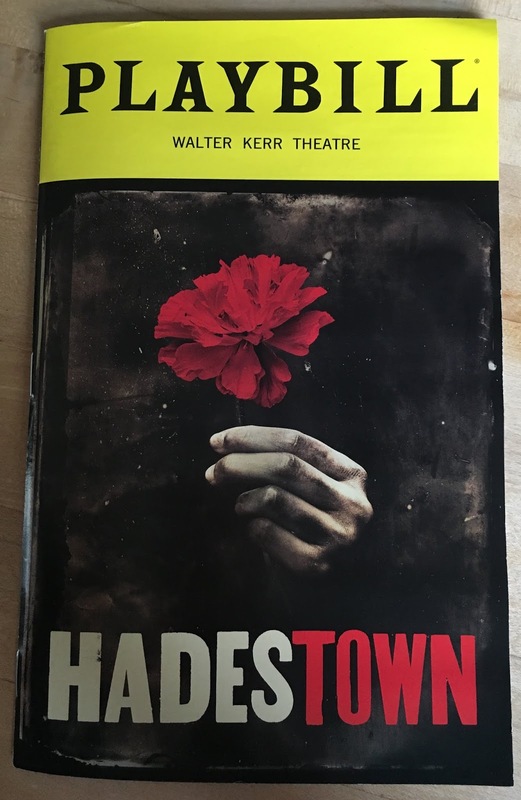 Playwright and company member Matt Spring sets the story as a play-within-a-play, which allows for commentary and exposition around the story that's being told, breaking down all the complicated history into a palatable 90-minute story. It's the type of zany fun I've come to expect from Four Humors, perhaps with a bit of social and political commentary if you look past the silliness. 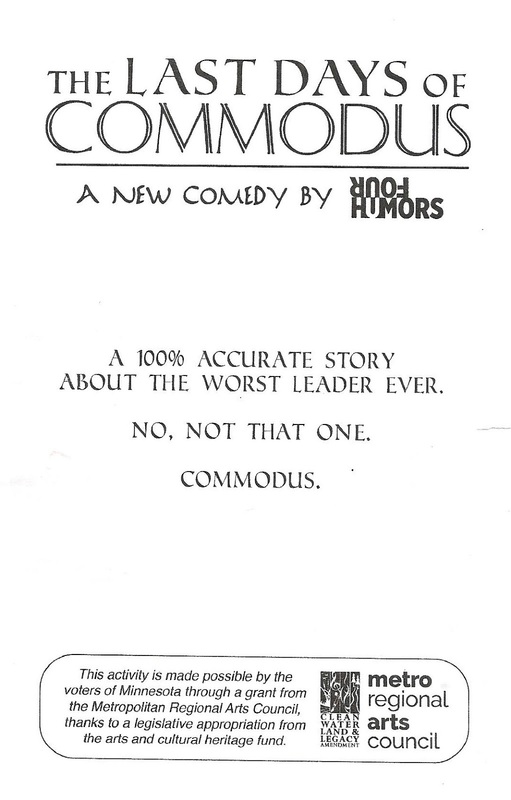 The Last Days of Commodus continues through next weekend only at Strike Theatre in Northeast Minneapolis. 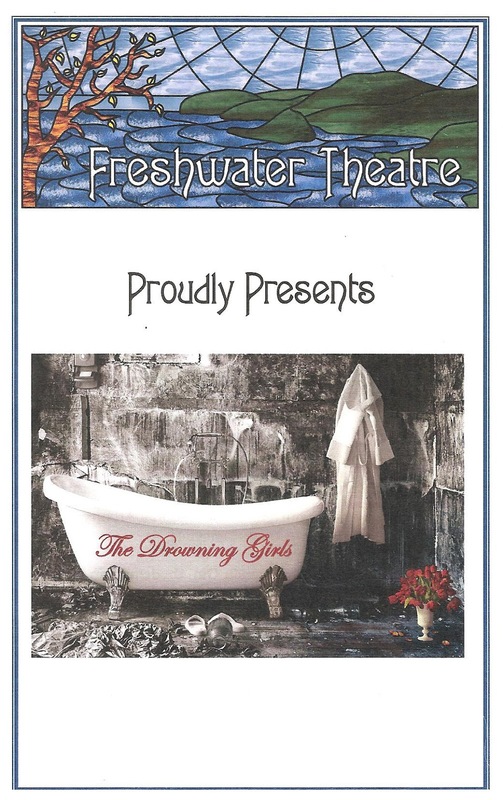 Three victims of an early 20th Century English serial killer have their say in the haunting play The Drowning Girls, receiving its regional premiere with Freshwater Theatre. 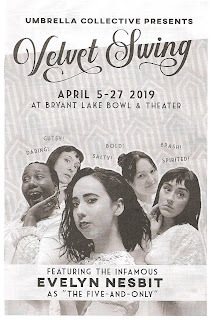 Based on a book about this true story, The Drowning Girls examines the life of these three women, their hopes in marrying a seemingly charming man, and the dire consequences when it's revealed he's a con man and serial marryer/murderer, after their money only. The play is ingeniously staged with three onstage bathtubs, shower-heads periodically pouring water into them, the three hardy actors working in water and wet clothes for the entire 75-minute show (which probably explains why the theater was toasty warm, a nice treat on a cold late winter day). The short run closes this weekend - just two remaining performances; click here for more info on how to see this fascinating, gripping, and well executed story. 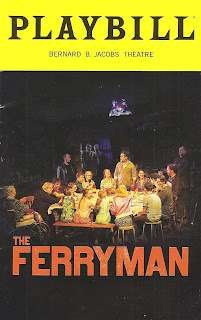 Summary: A sprawling Irish family drama set during "The Troubles" in early 1980s Northern Ireland. Summary: Director Daniel Fish brings urgent new life to this American musical theater classic for a complex look at life on the frontier then and now. Summary: An alternate universe in which a woman named Hillary is running for president in 2008. Summary: A new adaptation of the American classic. Summary: A folk musical retelling of the Orpheus myth, developed from Anais' 2010 concept album with director Rachel Chavkin. 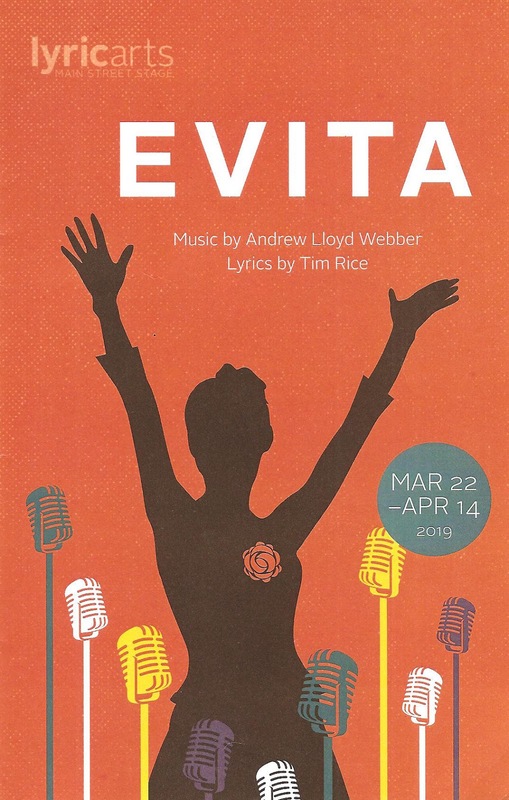 Continuing with their season of showcasing women's stories, Lyric Arts presents the musical Evita, one of the most popular woman's story in music-theater. There hasn't been a local production of it in several years, so the time feels ripe to revisit this story. 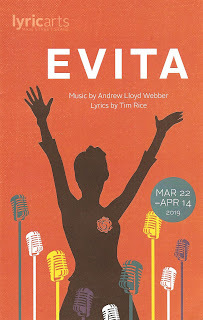 It's a big show for Lyric Arts to tackle, a sung-through musical with a large cast and complicated score, but they've proven that they're up to the task (this season began with a regional premiere of a new musical, and next season will too). They've enlisted a strong cast, which is notably one of the most diverse casts I've ever seen at the Anoka theater, plus a great design team. The result is a thrilling production of this 1980 multiple Tony-winning classic. 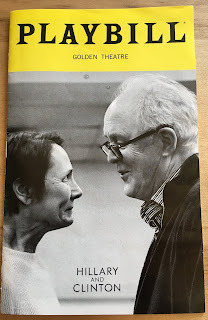 Since I "discovered" it a few years ago, the Playwrights' Center has become one of my favorite places to experience theater, specifically - new works of theater still in the development process. 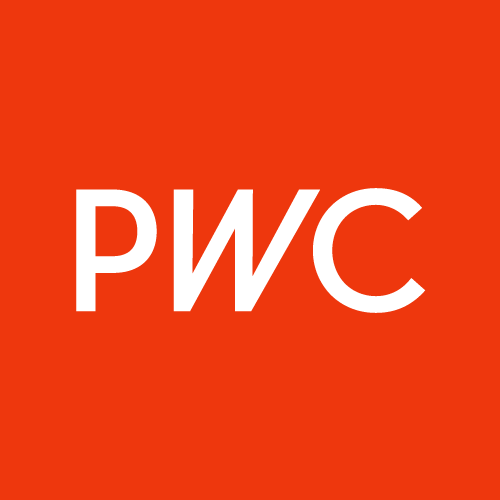 PWC supports something like 2000 playwrights a year in various different ways. Their "Ruth Easton New Play Series" runs the first (or sometimes second) Monday and Tuesday of the month, December through April. This series "gives selected Core Writers 20 hours with collaborators to workshop their script—to write, rewrite, experiment, and shape their work. For playwrights, this means great leaps forward for their plays. 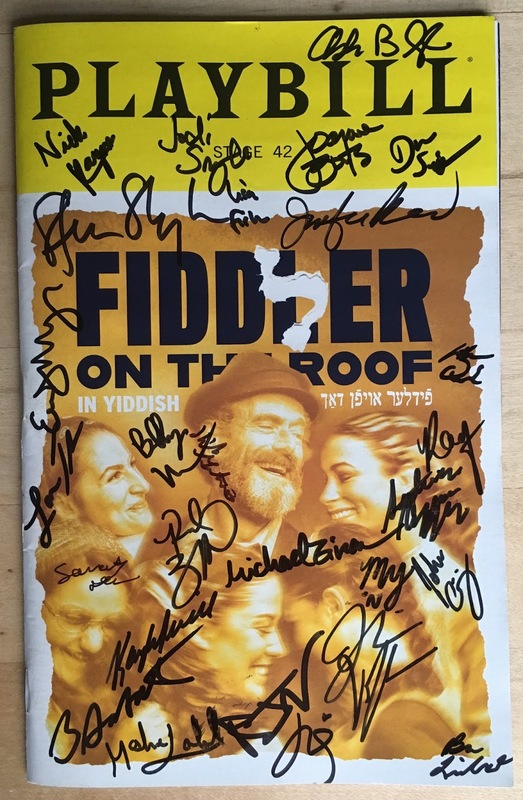 For audiences, this means a thrilling and intimate night of theater." 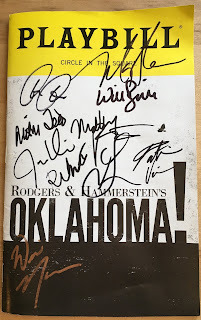 I attend every one I can, because the plays are always interesting and the casts are always dreamy. It's really fun to be part of the first audience to experience a new play, and I highly encourage you to check it out if you haven't yet. Warning: attending readings at PWC can get addictive, but the good news is it's free! Below is some info about the current and final reading of the series, which continues TONIGHT (reservations recommended, but if you show up they'll usually be able to get you in) and past readings in the series.